In this article, Hartland Park Animal Hospital – with a convenient location in Lexington, Kentucky (KY) – is here to tell you about Christmas decorations that are dangerous for pets. Contact us today for all of your veterinary needs! We all know the holidays come with lots and lots of decorations and wonderful foods. We are here to help make sure that the decorations you are putting up are safe for your furry friends. There’s no need to add more stress to the holidays by having to make an emergency vet visit. As much fun as twinkling lights, sparkling tinsel, brightly colored garland, and beautiful ornaments can be, there are some decorations that can be incredibly dangerous and toxic to your beloved pets. 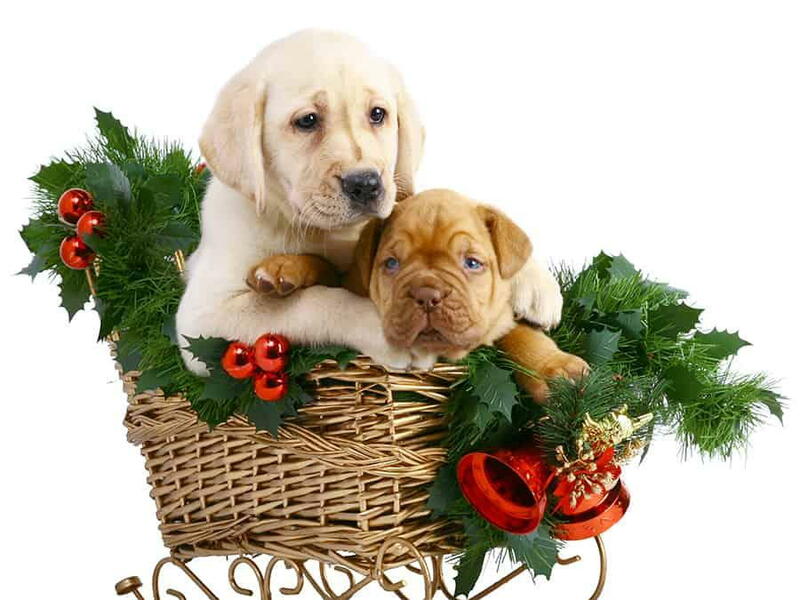 Read on to learn more about how to keep your pet safe and happy during the holidays. One major decoration that can be incredibly dangerous to your pets is the traditional Christmas tree. Some dogs like to jump and have lots of energy. When they are in a room with a Christmas tree, they are at risk of knocking over the tree, breaking ornaments, and possibly injuring themselves on broken pieces. Cats are also known to climb Christmas trees, which can result in the same thing. Now, of course we are not saying that you shouldn’t get a tree. We know that it is a classic tradition. We are just saying you should take some precautions in order to keep your pets safe. Our best advice to keep your pets safe from Christmas trees is to just keep them out of the room that the tree is in, unless you are there to supervise them. We all know that pets often like to chew on things. Christmas lights seem like a great snack to many pets. This is incredibly dangerous and can cause electric shock, so be careful that your lights are not in an accessible location for your pet to reach them. Tinsel is a beautiful, classic form of decoration for the holidays. However, it can also be one of the most dangerous. Even if your pet only ingests a few strands, they are likely to experience illness. Tinsel, even in the smallest amount, can cause intestinal obstruction, which can even be deadly. There are also some holiday plants that can be dangerous to pets. Be sure to keep mistletoe and holly far away from your pets, so they don’t get sick. You can read more about what is toxic to your pets here, as well as give us a call if you are not sure about something. We want to make sure you and your pets have a happy and safe holiday, so let us know how we can help you make that happen. Hartland Park Animal Hospital knows that the holidays are a wonderful time of year and we want to make sure that both you and your pets get to enjoy it. We are located in Lexington, Kentucky and are happy to serve the entire surrounding area. We provide high-quality veterinary care to pets of all ages. Our facilities are state of the art, allowing us to care for all sorts of conditions. Our veterinarian, Dr. Cundiff is committed to making sure your pets are happy and comfortable, all while providing them the care they deserve. Give us a call today and let us know how we can help you!